With a focus on luxury sport yachting, the tiara sport lineup offers sophisticated vessels ready to meet the demands of day yachting. 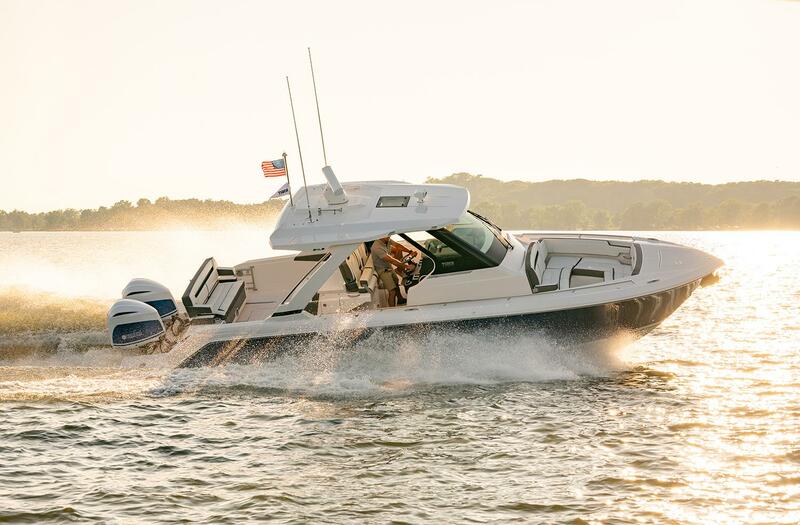 The epitome of functionality and comfort, tiara sport ls models feature walk-around capabilities, multiple and easily accessible social zones, and ample lounging accommodations, including wrap around forward bow seating. Powered exclusively by Yamaha®, the luxury sport and luxury crossover models are ready to perform. Captain and guests will delight in the thrilling performance aboard. 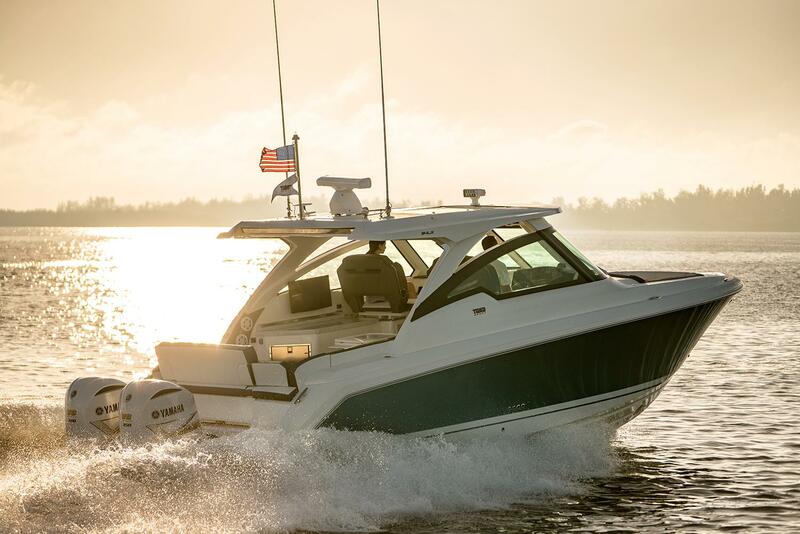 Glass cockpit integrated electronics, including the latest Garmin® marine navigation systems provide ease of use, and optional Yamaha® helm master joystick steering provides additional control underway or docking. Available in 34 and 38-foot lengths, luxury sport yachting is elevated to new heights. 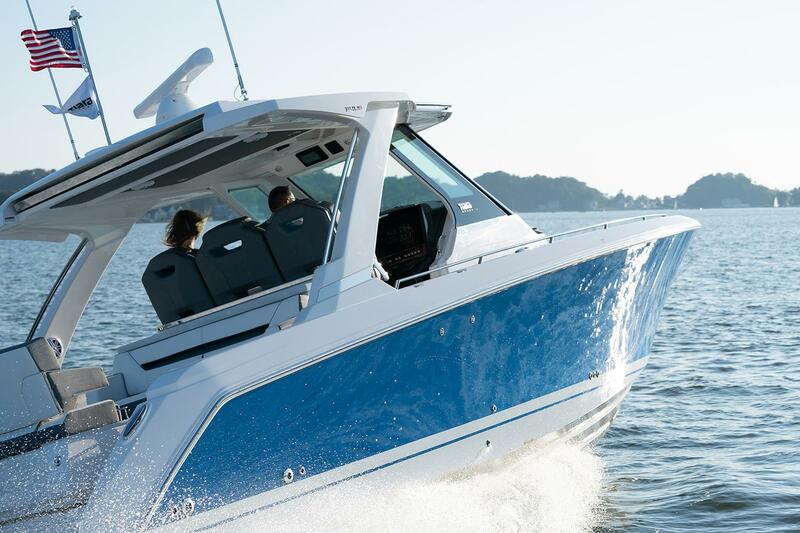 Experience performance, power and the joy of motion aboard the Tiara Sport LS and LX models. Gain personalized Tiara Sport assistance and direct access to current Tiara product information through our exclusive Tiara Concierge Service. Click here to meet your Tiara Concierge. Click here to locate your nearest Tiara Sport Dealer!